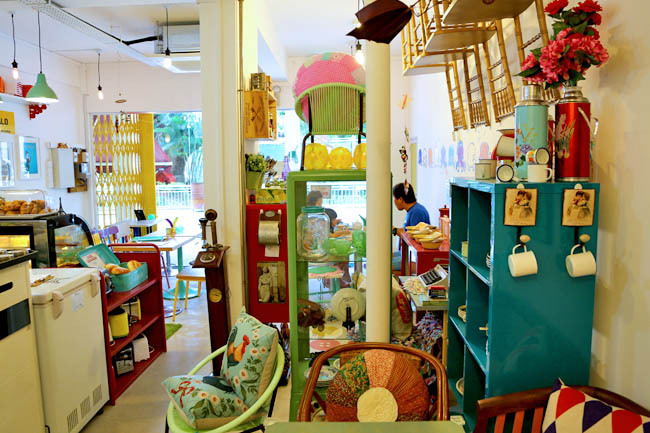 Two cafes located side by side at Jalan Bukit Ho Swee. Sin Lee Foods was packed and almost every table had some chicken waffle. Le Halo was quieter, but as usual, I liked to support the underdogs. Such a pretty looking café. 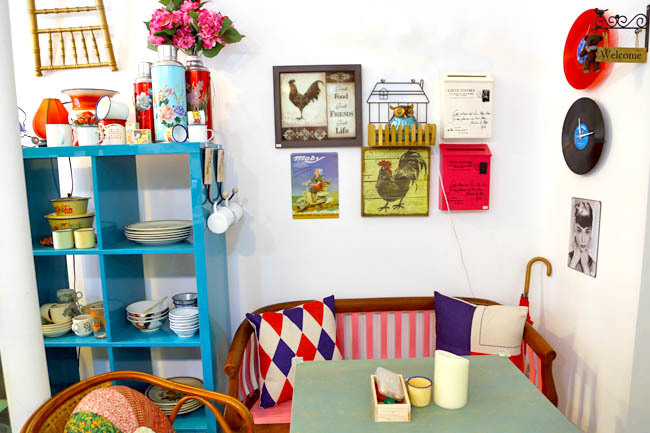 The interior was beautiful, with a splash of pastel colours, selling vintage items from online shop Chair-ish The Moments. 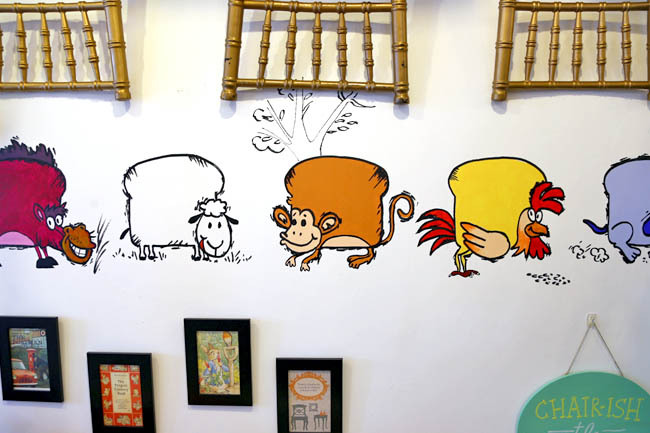 You can take a selfie with the zodiac animal drawings on the walls, shaped like toast like the café’s logo, specially faced left or right in line with feng shui configurations. There were many knick-knacks place all around, a toy here, a capteh there – an organised ‘mess’. Then I wondered about the cleaning they needed to do. The pretty bitsy décor can be a double-edged sword. It was endearing and charming on one hand. Though realistically, there were too many items on the tables. Some customers actually walked to next door because some seats were uncomfortably small. Recommend items were the Piggy Stew ($11.50), Otak Egg ($8.50), Mushroom Carbonara ($14.50) and Meatball Pasta ($14.50), prepared by Chef Jimmy who graduated from At-Sunrice Global Chef Academy Singapore and completed his apprenticeship in Ritz Carlton Millenia, and Le Bistro Du Sommelier. I thought that the food was a notch better than the average café food in Singapore, and have enjoyed the meal. Reviews generally commented some fine-tuning would be needed. 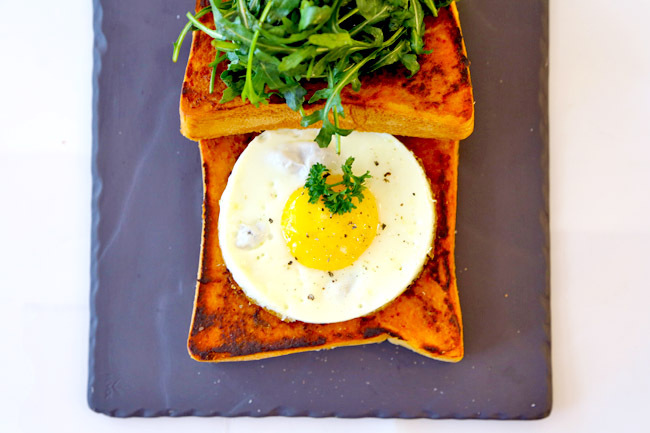 The Otah on toast ($8.50) with a sunny sideup, plated with wild-rocket on the side had a pleasant crisp, but could do with a thicker layer of the muar otah and some dressing (perhaps also add a locally inspired sauce) on the greens. 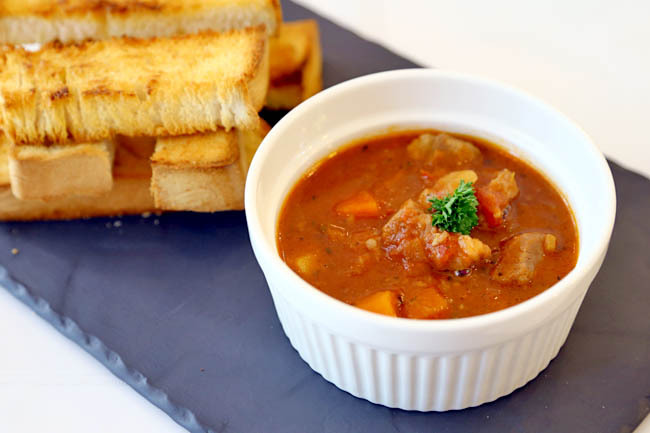 The best-selling dish at Le Halo was the Piggy Stew ($11.50), hearty and flavourful with quite tender pork chunks. If only there was more of the stew, and perhaps less of the toast, as we found ourselves running short of dips after the second piece. Visiting Le Halo was like entering someone’s elaborate home, in this case owner Elia Lim where everything was arranged so impeccably. There was a sense of happiness within the cafe. In case you thought “Le Halo” was pseudo French, the “Le” came from the Chinese character meaning “happy”. 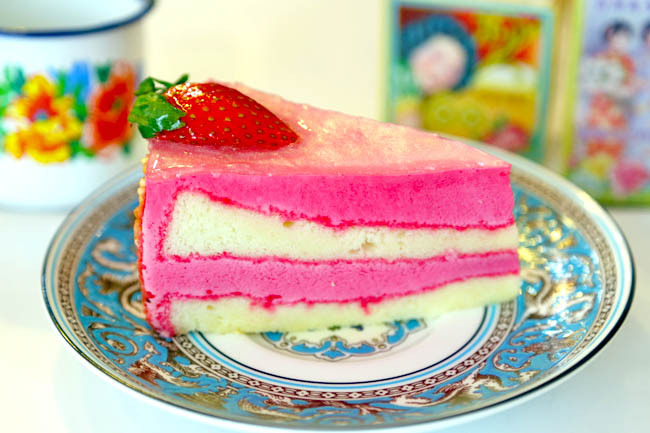 Seriously, what are these cafe owners thinking? 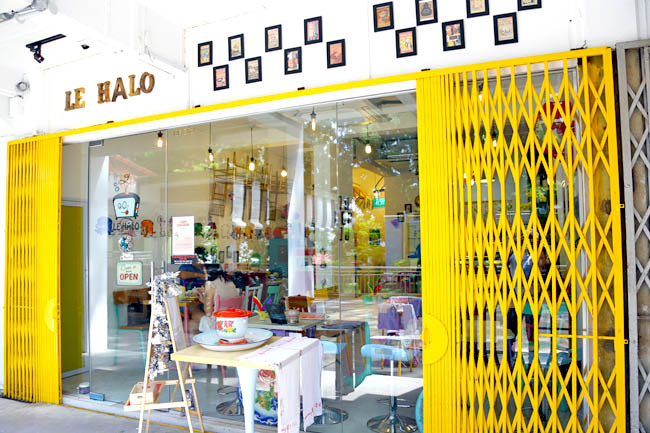 They seem to be in some frenzied competition to see who can come up with the most ‘retro’ cafe in Singapore. And they seem to be sprouting up like mushrooms. Do we really need more of these? This ‘retro’ concept is but only a fad and will disappear within another year (it won’t even last beyond two). How a cafe can sustain this concept for a prolonged period of time, and to sell the retro theme instead of proper food is mind boggling. 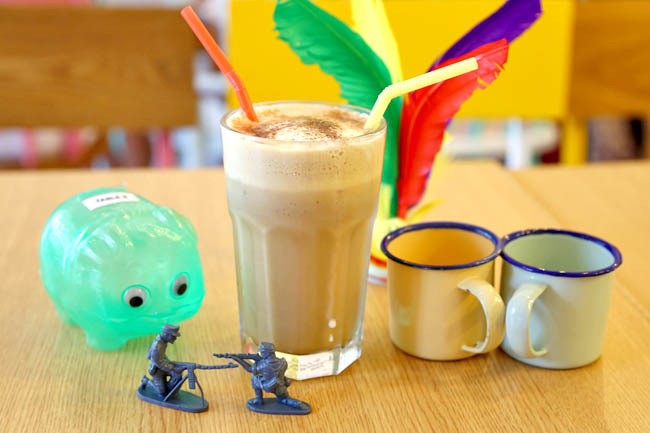 I mean, are people around you even gushing about how excited they are to dine at a cafe that has a local retro theme? Where is the demand coming from to keep up the supply? 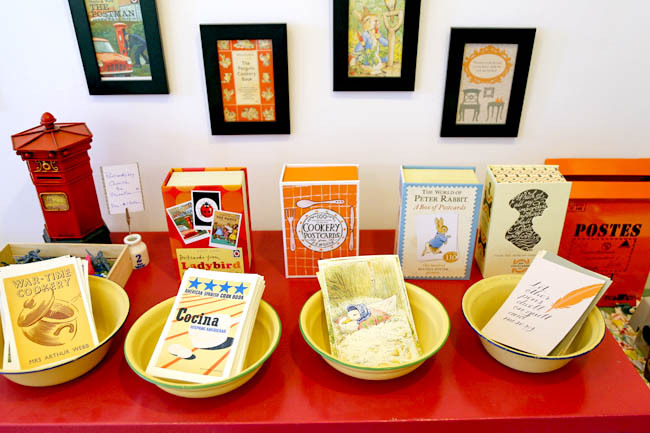 Customers might be amused to see a couple of chaptehs or Old Maid playing cards used as decoration in a cafe for the first or second times but after that, it just becomes tiring. Really tiring.